The original black and white sketch was done by an old friend of mine. I liked the sketch and asked for his permission to expand upon it digitally. My first expansion was just more black and white lines, turning the few trees scattered about the paper into a full thick swamp. The original had little to no density. The first slide of the movie is after the digital black and white additions. The mermaid began as entirely different work of mine that I decided would make a great addition to the piece. The Enchanted Mermaid has here own entry here. 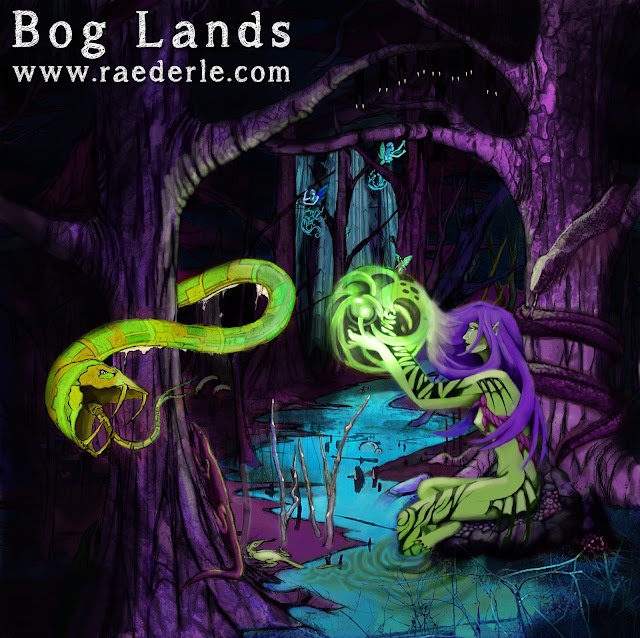 Most of Bog Lands was done with a mouse, not my wacom, because at the time my wacom wasn't functioning and I wanted to paint anyway. Make sure you view the full size to get an appreciation for the level of depth. 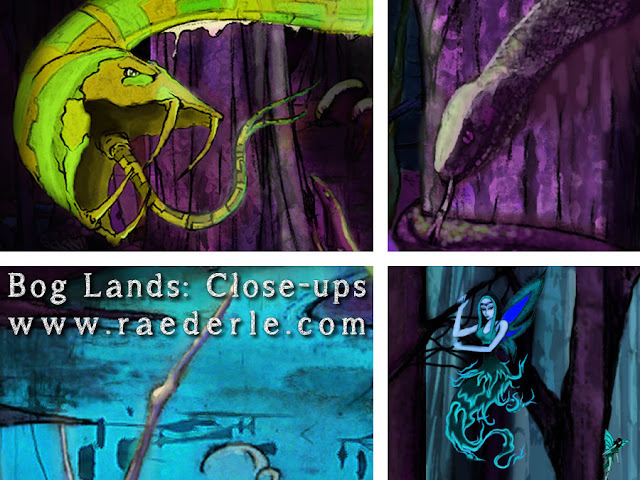 The tiny sprites in the trees also come from another work, although their appearance in Bog Lands is not the final version of the Flaming Sprites. The logo you see in the corner is fairly new at the time of writing this still. There is a video demonstrating the creative creation of it here. Your critiques, comments, thoughts and ideas are welcome.